Pictured above is the tea that raised my spirits and made me whole last weekend. I was headed towards a serious cold and was willing to accept whatever the universe was going to hit me with. But I decided to go back to a place where I believed I was already feeling better. 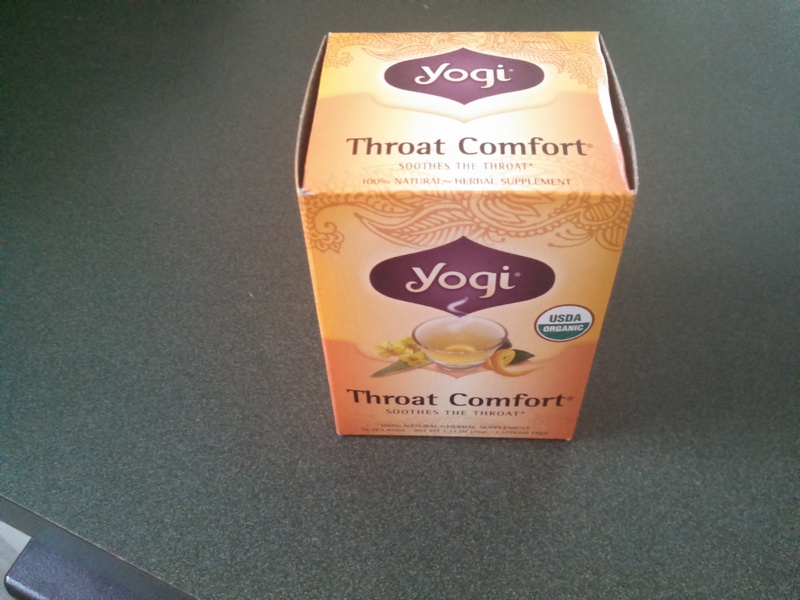 Yogi has been a brand of tea that has been good to me and so many of us, for years. I will never take them for granted. I am a big believer in doing whatever it takes to lift you up and make yourself feel as best as you can be. I don’t always follow that myself. But tea drinking has usually been the equalizer in curing whatever has been ailing me. I have had issues with my throat feeling cluttered with grossness for quite some time. It’s a combination of stress, poor eating habits, poor drinking habits, and the particles of the universe. It could be none of these or a combination of a few. But drinking these teas which pack all the good in the world, further remind me, that I need to be good to myself. Not just when I am feeling sick, but all the time. It’s my body telling me to be more at ease. I am drinking a cup now and the comfort level increases by the second. 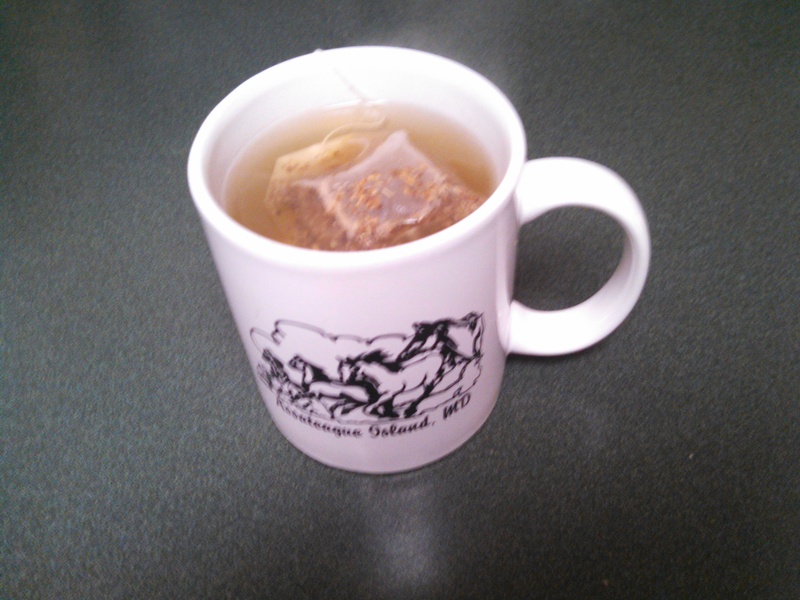 See below and my drinking mug, with the horses, is equally as comforting. Just the way the bag is relaxing at the top is comforting as well. Ah so much goodness! Elm Bark with Muellin are two things I have never heard of. I will be doing some digging into how these ingredients add to this and other amazing teas. The Wild Cherry Bark, I honestly do slightly detect. If maybe just a hint of cherry flavor. The Licorice root is the most recognizable flavor and is so sweet. There’s some cinnamon and a multitude of other flavors that I can’t detect (or can I). But nevertheless, this tea is amazing. And my throat, along with the rest of me, feels so much better. There’s an infinite amount of things in the world that can make you feel good. I am grateful that one of them is this.